66-02-26 - Only 85 books missing from the library. 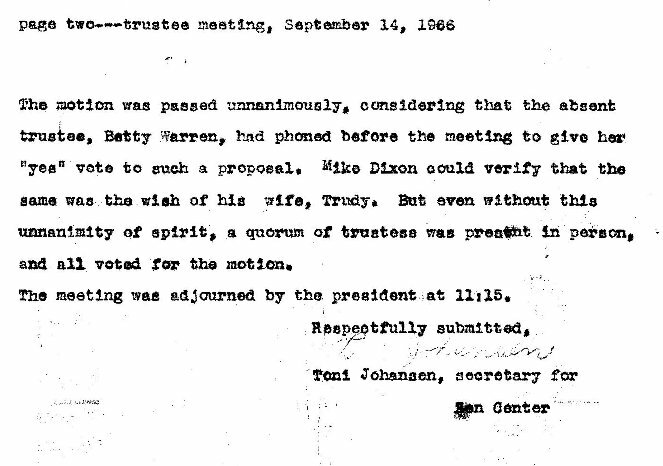 Quite a list of members present to elect the new president whom some would later call the Steve Jobs of ZC. 66-04-02 - 25 to 30 sitting every morning. Up to 70 expected for sesshin. The sixties is getting into swing. One thousand Wind Bells being mailed out. First taping of Suzuki lectures runs into problems. The first one we have in July 26th - but there are still those missing Los Altos tapes that I feel bad I haven't followed up some leads on. Interesting first mention of Tassajara. Richard Baker has talked to the owner and plans to drive down there with "Reverend Suzuki. Rev. Katagiri." 66-05-21 - More talk about buying land near Tassajara. They say it would take three and a half hours to drive there - four at the least back then - and over a day to walk from Big Sur - nope, I made it in nine hours. 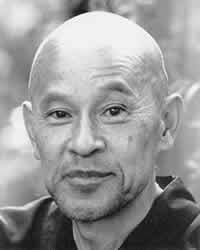 Suzuki asks about where Yasutani can hold a sesshin. 66-06-18 - Nothing special to report on this meeting but I love reading them - the names, the details, foreshadowing of incompatibility between the two groups, the misspellings. 66-08-13 - Amelia Newell's name comes up - interesting. 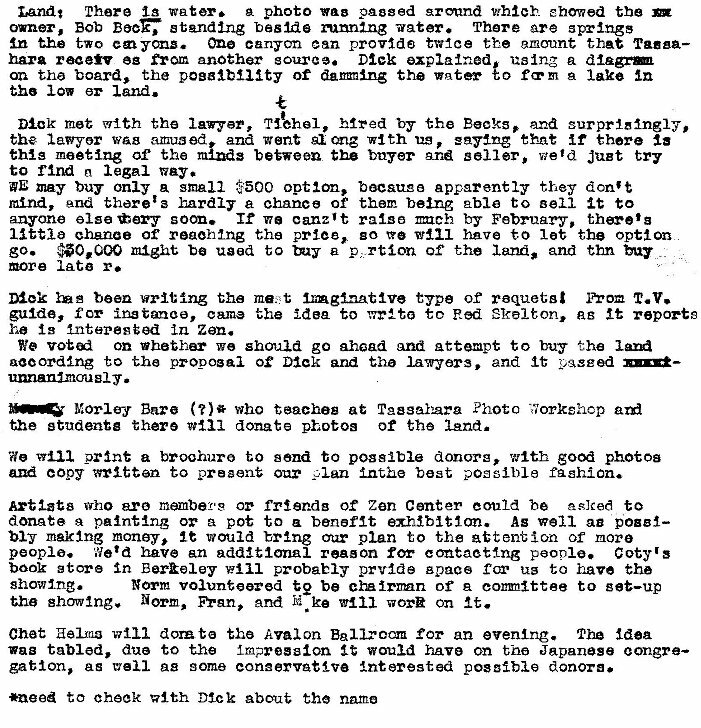 See page for this on 60s Communes. 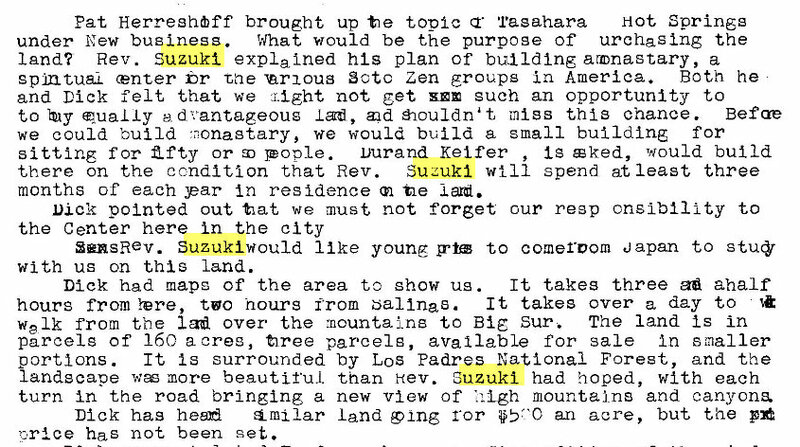 Hmm - Suzuki's in Japan and this "Tasugami" might be Tatsugami who came to Tassajara as a guest teacher in 1969 for three practice periods. Interesting (to me) talk about taping lectures. This is about the time I showed up at ZC. 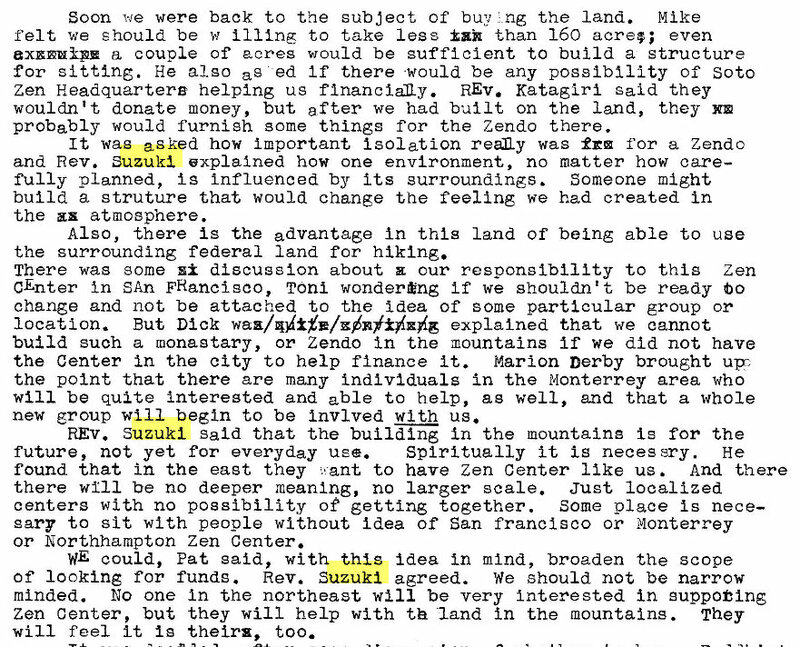 66-09-14 - They're just talking about buying land near Tassajara. We forget that until the last minute, the fundraising was for money to buy the Horse Pasture, 160 acres near Tassajara that had no road leading into it, no structures, had little flat land, no sizable creek. After we'd raised the money for the 20k down payment (as I recall) Bob Beck said he and his wife Anna were prepared to sell Tassajara itself. 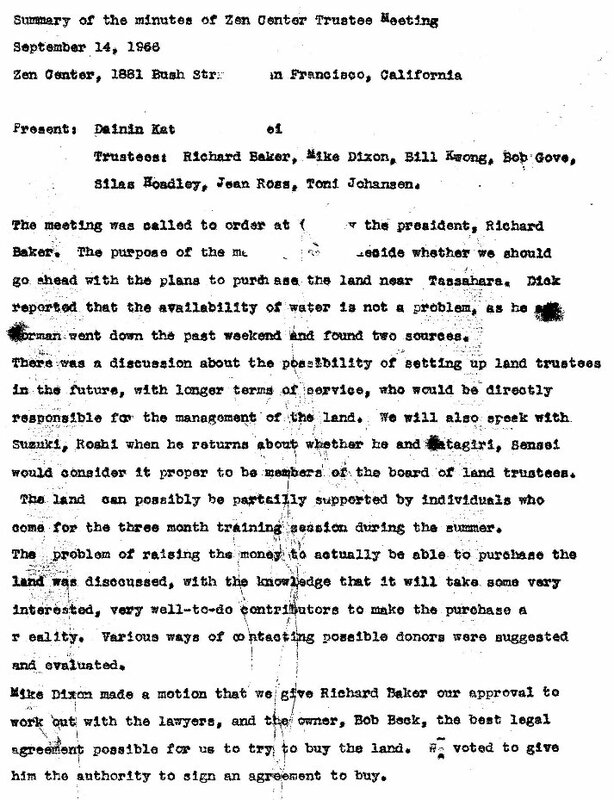 Richard Baker let the board know, they approved immediately, and all of a sudden we had Tassajara and 280k more to come up with, a large payment due in March. 66-09-17 - About buying the Horse Pasture near Tassajara. Thoughts of asking Red Skelton for a donation. Morley Baer who does photo workshops at Tassajara has offered photos for fundraising brochure. Art sale (mislabled exibition) might be at Cody's (misspelled like many words) in Berkeley. Chet Helms has offered the Avalon Ballroom. 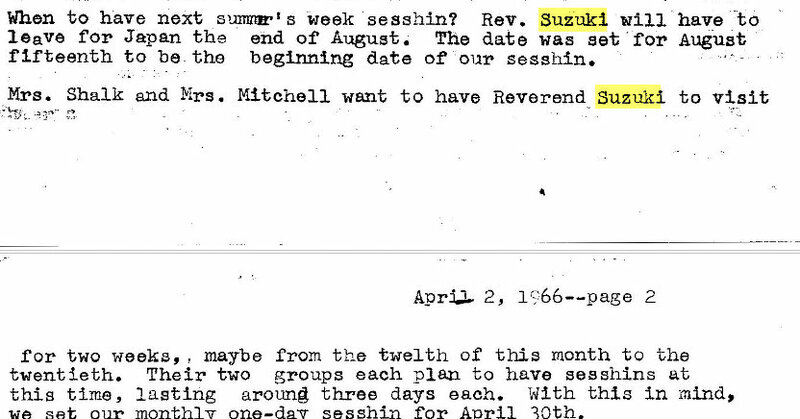 Alan Watts letter on what to call Suzuki and a vote on the matter. Wonder where that letter went.